22 cards + a multilingual LWB in a 3D printed plastic tuck box. 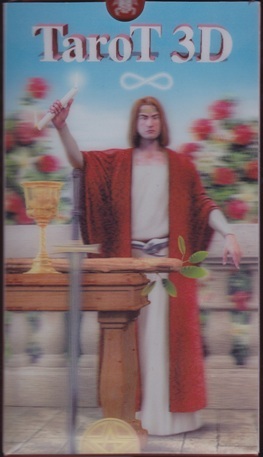 The cards are large, measuring 14.5 cm tall x 8 cm wide. The cards are wonderfully flexible, with a 3D effect on the fronts and a glossy finish on the backs. This is a majors-only deck. 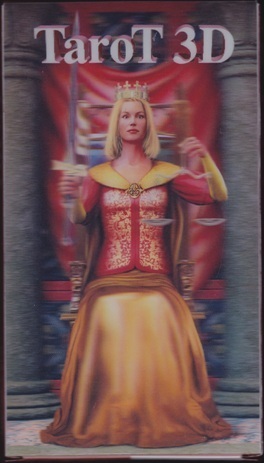 The cards are not titled, but they are numbered. Strength is 8 and Justice is 11. The Fool is numbered 0. This isn't a RWS clone, but it does clearly follow the RWS tradition. While the 3D effect is nicely done and adds beautiful visual depth and movement to the images, the art itself seems too smooth and too flat -- too digital and "perfect" in some way, at least to my eyes. The art is also lacking in detail and symbolism (though, perhaps the simple scenes and clean lines are what made this a good choice for applying a 3D effect). 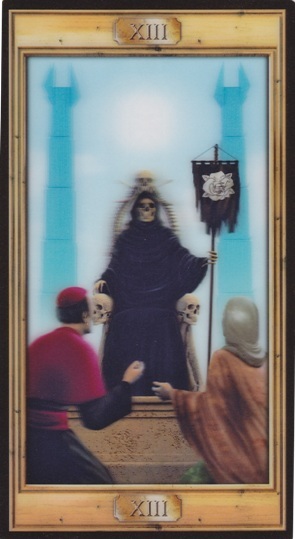 I'm not sure, but I believe the art in this deck is the same as, or very similar to, that of the Pictorial Key Tarot by the same artist, also published by Lo Scarabeo. 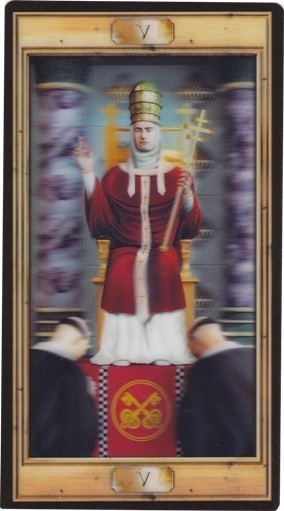 A note about the scans I've posted here -- this deck and its box don't scan very well, because of the 3D effect. They look a lot more interesting and clear in person. 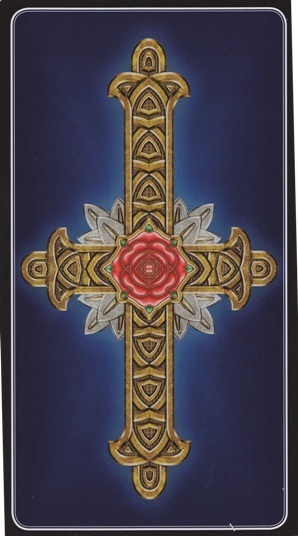 Also, I had trouble getting the scanner not to crop the card borders down weirdly -- in actuality, the cards are reasonably centered, with reasonably consistent black borders. The card corners are rounded, though not all the scans show this clearly. I purchased my copy from Amazon.com for $15.42 USD on February 17, 2014. 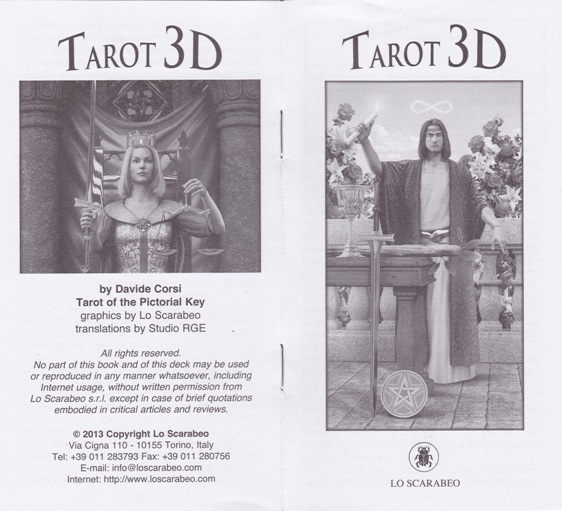 Davide Corsi, “Tarot 3D,” The Osborne Tarot Collection, accessed April 21, 2019, http://tarot.zerosummer.org/items/show/288.